Here are Scientology breakthroughs that show you how security is accomplished, so you can free yourself from material worries. There is an answer to achieving all you want out of life. There is a way to unfetter yourself from the travails of managing your affairs and handling the tribulations associated with rising costs. After all, your own happiness and spiritual pursuits depend on it. When you know how, you can proof yourself against financial concerns. Then, even if faced with a crisis, you can swiftly recover. The Scientology Tools for Financial Security Course gives you the principles which govern finance—for any organization of any size or any individual. By attaining security, you can then devote yourself to life’s higher goals. How to plan your finances so you never go into debt. How to turn every outlay into an investment in your future. The steps to establish and maintain excellent credit standing and solvency. The fundamental truths contained in this course, when applied, can result in continued prosperity and growth—for you, for your family and for your business, whether large or small. “I understand why things have failed in the past and I know when I apply this technology my business will flourish. I can dissect my business, see what works and doesn’t and see how to control it and make it grow. I feel stronger and more confident because I have a plan. That is the true definition of security.” V.J. “The whole area of finances was always somewhat mysterious and hard to understand before. Now it is utter simplicity and easy to apply. This is a great course.” R.S. “Before this course I thought financial security was for those with rich fellows around them from the time of birth or it had to be left as an inheritance. 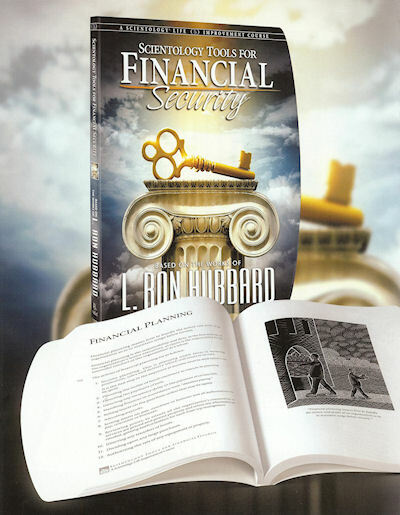 Financial security is possible if you have the right tools and you use them consistently. Truthfully I am now off to a great start.” S.P. Note: All our courses are delivered at our San Jose location. The courses are self-paced and can be started at any time. Length of course is 7 days part time.